Color Jump is the latest mobile title from the French gaming behemoth, Ketchapp Games. 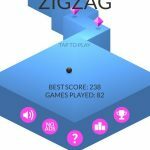 If you’re familiar with hugely popular games such as Rider, Knife Hit or Dunk Shot, then you’ve come across just some of the many titles that Ketchapp have brought to mobile device across the globe. With over 700 million downloads Ketchapp really knows what games they need to deliver to the mobile gaming market. They are such a well-performing company that in last September they were acquired by, gaming magnate, Ubisoft. The company’s new game called Color Jump is a twist on the ever-popular Color Switch that captured the heart of over 150 million people in its first year. The premise is a simple one, match your coloured ball to that of the obstacles you face. In Color Jump, you must bounce your ball from one side of the screen to the other whilst making sure you only clash with the colour that matches your ball. You’ll face obstacles passing through your field of play as well as more colour tiles appearing on the walls, making your target colour that much harder to hit. Don’t let Color Jump fool you either; it may look like a very simple and easy game, which is true but only for the mechanics. The game itself is terrifyingly difficult, as shameful as it may be to admit, it took hours for us to get a double-digit score. 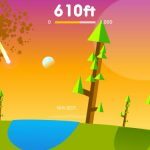 We’re going to run you through our Color Jump, cheats, tips and tricks guide to becoming the juggling master and dwarfing the scores of your friends in the process. 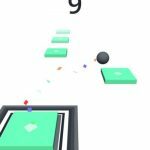 Color Jump is a game of skill where a solid 99% of your success will come from how well you can control your ball. The golden rule of Color Jump is don’t over tap. Tapping too often can usually lead to an unpredictable trajectory causing you to hit the wrong colour, the roof, or even one of the obstacles passing through the gameplay zone. Let the ball begin to fall before tapping a second time, this will allow you to recalculate how many more taps you’ll need to cross the screen and hit your next matching colour. It’s also important to note that as gravity is enabled in Color Jump that you will fall significantly faster than you can climb so bear this in mind. Playing at the top of the screen allows you room to either miss a tap or quickly descend to avoid obstacles coming down from the top of the screen. You also get a little bit more wiggle room with the top boundary than the bottom, making death that little bit less likely. The only potential problem that comes from playing towards the top of the screen is the angle that you can hit walls on your way down. Hitting a matching colour block at too high of an angle can actually cause you to hit the wall twice resulting in instant death. Always be ready to tap as soon as you come into contact with the wall to avoid this and get yourself bouncing back to the other side of the screen. The greater your score, the greater the game’s difficulty. As you progress through Color Jump you’ll be met with a couple obstacles, typically blocks passing through the gameplay area or more colours to match up as well as more colour matching wall blocks along the sides of your screen. If you match the colour of the obstacle block that is passing through then you can bounce off of it, however, this can leave you in a very difficult position if you don’t match the colour directly opposite as it won’t leave you with much room to navigate. You’ll first encounter these obstacles once your score exceeds 5 and every 5 points after. The game can get with such a simple change. Stars are your in-game currency and can be used to purchase new player skins. Stars can be collected through gameplay, watching ads, and gift boxes that you receive after death, gift boxes can also reward you with skins. Whilst skins offer no real bonus in-game we like to stick to the standard circle as it displays your collision area with greater clarity. 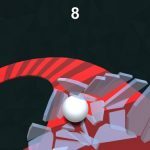 Hopefully, with these quick Color Jump tips and tricks, you’ll be able to tap your way to the top of the leaderboard and show all your friends your unbelievable ball control. Good luck and happy tapping.